Join us as we speak with Katie Keeley, TV Celebrity Psychic during this one hour show! She will be sharing her passion, wisdom and insights–and will be offering on-air readings! 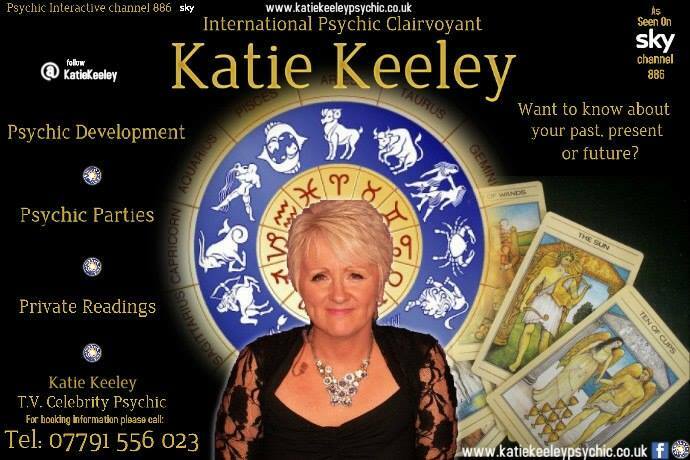 Katie Keeley is a Third Generation Psychic/Medium. This gift has been handed down from my Grandmother and Mother who are Natural Healers. Katie has toured Italy, America, Southern Ireland, and has delivered a Workshop with a Show in Ibiza. Katie has read for Celebrities such as Kerry Katona, Sherrie Hewson (Loose Women ), Steve Mullhern (Britain’s Got Talent), , Peter Andre, Crissy Rock (Im a Celebrity Get Me Out Of Here) and many more.